With the Lumo sprocket a staple for most gamefishers, Pakula has done it again with the Brad J. The Brad J Lumo is now taking on the Lumo Green as the top Pakula colour. The head colour is pink paua; the outer skirt is lumo orange/lumo pink and the inner is pink lumo/white. The Brad J Lumo colour is available in all Pakula models. 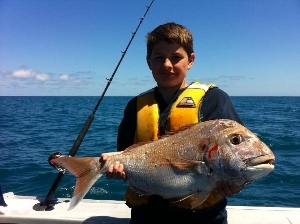 Pakula lures are distributed in New Zealand by Composite Developments, Albany.